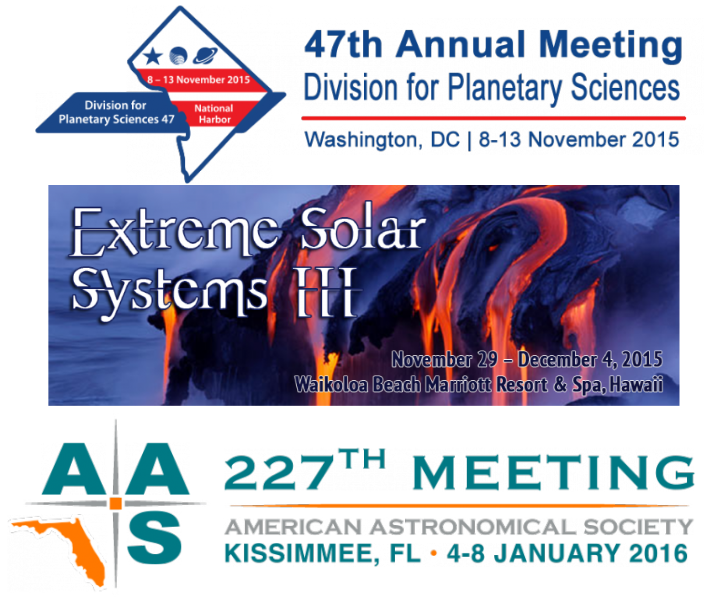 The winter season of AAS conferences begins soon, with the 47th DPS meeting in mid-November, Extreme Solar Systems III in late November, and the 227th AAS meeting in early January. I don’t think that I have to convince you that conferences are a useful, even important, aspect of research. The opportunity to meet with members of the community outside the research groups allows for the possibility to form new collaborations and to get new insights on research. That said, the role of conference participation in scientific progress and in driving innovation is often missed by policymakers. In 2012, the Office of Management and Budget (OMB) put new regulations in place. The regulations reduced the allowed levels of spending on conference participation and required new approval processes at federal agencies. These limits and the burdensome approval processes have meant that it is harder for members of the scientific community employed or contracted by federal agencies to participate in conferences. The level of difficulty has led some to not even try to participate. This is why the American Association for the Advancement of Science (AAAS) is collecting stories about the benefits of conference participation. The AAAS wants to hear about how participating in a conference has benefited you and your research. Perhaps a collaboration formed at a conference, or an employment opportunity became available because you participated in a conference, or you gained new insights on your research as a direct result of participating in a conference. You can share your positive experiences here: http://www.aaas.org/yourstory. These stories will be curated on the AAAS website (http://www.aaas.org/yourstory/submissions) and will be used to help provide information to policymakers regarding the benefits of conference travel. The information provided in this post is based on the AAAS Call for Conference Stories and a letter to the editor in Science.